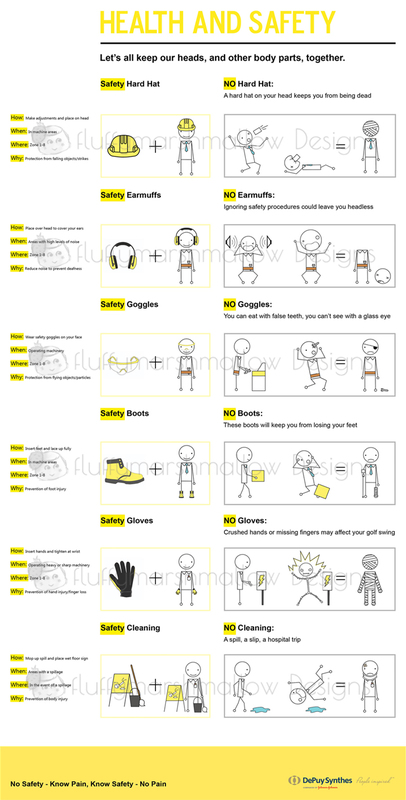 I want to aim for a humorous static and interactive/animated health & safety infographic for the company DePuy. A funny infographic catches your eye, you want to read the information and you remember it, unlike the lengthy health & safety posters which are boring and full of text. I looked into funny Simpson Health & Safety posters, Stickman and dark humour posters which can be disturbing but effective. 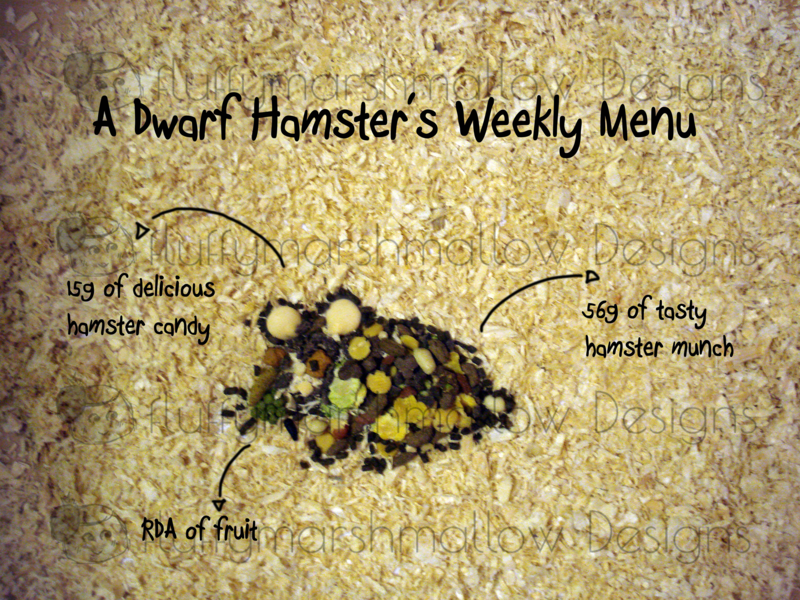 I also looked at infographic formats to help me with layout, colour, typography, etc. 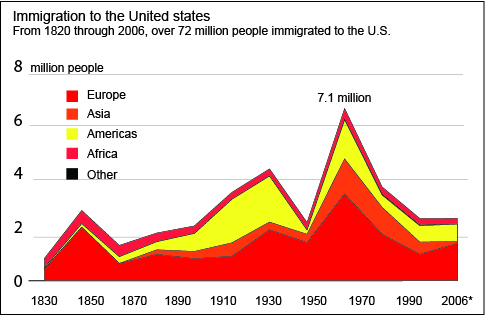 From the site ‘flowingdata.com’ I followed a tutorial which helps you create a graph using the tools in illustrator. 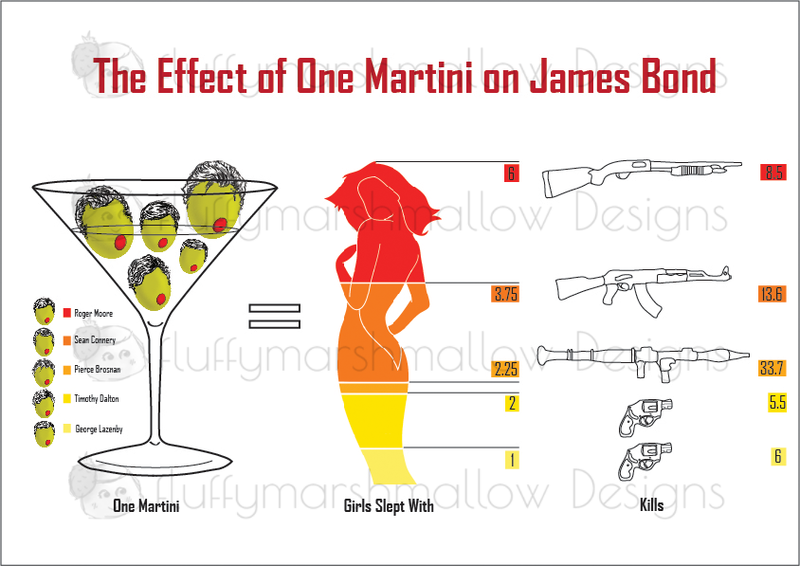 An infographic created on Adobe Illustrator and Photoshop, based on the statistics of James Bonds Martini girls he slept with and the amount of people he killed. I worked out, for each of the James Bond, (Moore, Connery, Brosnan, Dalton and Lazenby) the average amount of women he sleeps with when he drinks one Martini Then I calculated the amount of people killed by James Bond in relation to how many girls he sleeps with. I decided to have an ‘equation’ theme to portray my infographic. I used a Martini glass with olives representing each of the Bonds and included a key to the side. At first I was going to use a different type of olive to represent each of the Bonds, but it wouldn’t have been a clear indication of which Bond it was portraying. So I decided to use a normal olive with hair to represent who the olive was representing. The woman is colour coded into different levels which represents the amount of girls each Bond sleeps with in all the films they were in. The guns represent kills and the more people James Bond has killed, he got an upgrade on weapon choice. My research and sketches will be put up on a later date.